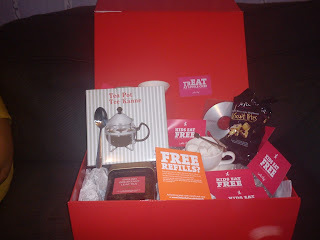 I opened up my parcel to reveal a mysterious looking red box, and when I opened it, I was surprised to see a delightful little package of a teapot, teaspoon, a tin of Taylors of Harrogate English Breakfast Tea, a teacup & saucer, some Little Chef kids eat free vouchers, a bag of Biscuit Bites, some sugar cubes and tongs to pick up the sugar cubes with. The Taylors of Harrogate tin of English Breakfast Tea was delicious - one of the best cups of tea I have ever had. It's been a long time since I made tea in a teapot with tea leaves instead of just sticking a teabag in a cup and pouring on water out of the kettle, and freshly brewed leaf tea is still as splendid as I remember! I got a Little Chef trEAT card too, which once activated at http://www.littlechef.co.uk/friends, allows you to get free refills when you purchase a hot drink - great value! We have three sets of 2 Little Chef "Kids Eat Free" vouchers up for grabs. If you would like to be in with a chance of winning a pair of vouchers, follow these simple steps. Have you ever eaten at Little Chef? If so, what did you think? What is your favourite type of tea? And, have you ever tried the Taylors of Harrogate English Breakfast Tea? 7) If you would like another entry, post the following as a status update (on your wall, not the blog page wall) on Facebook (and be sure to tag the page by putting an @ before My Random Blurb - you need to be following the page in order to tag it in your status) "I am in with a chance of winning a pair of "Kids Eat Free at Little Chef" vouchers with My Random Blurb. 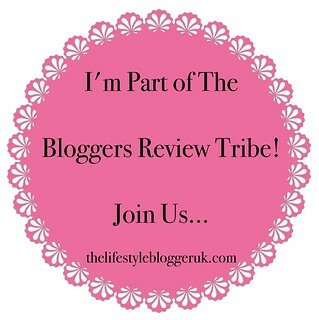 You can enter too at http://bit.ly/pSXFN5"
I've never eaten at little chef - my favourite tea is tetley! i have never tried Taylors of Harrogate English Breakfast Tea?